UK voters were never very bothered about membership of the European Union (EU) before the Brexit vote last year. Opinion polls instead showed they shared the general feeling of voters everywhere – that their country was heading in the wrong direction, and it was time for a change. 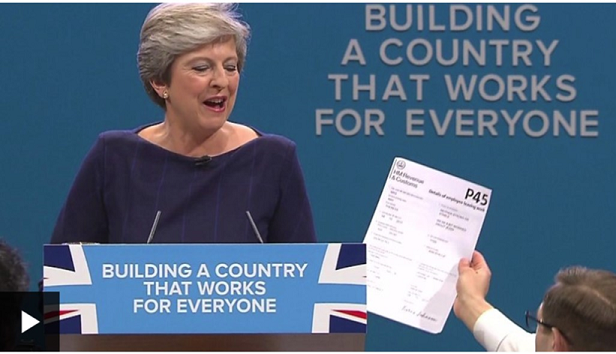 Now, last week’s Conservative Party conference showed that the government itself, and the prime minister, have also lost all sense of direction. The problem is that nobody has any idea of a what a post-Brexit world would look like for the UK. The Leave campaigners famously told the voters it would be a land where the UK would no longer “give” £350m/week ($455m) to Brussels, and could instead spend this money on improving health care and other worthy objectives. This, of course, was a lie, as the head of the National Statistics Agency has since confirmed. But then-premier Cameron failed to call out the lie at the time – fearing it would split his Conservative Party if he did. As a result, the splits in the Conservative Party are out in the open, with its former chairman now calling for a leadership election and claiming at least 30 law-makers already support the move. Bookmakers now expect May to leave office this year (offering odds of just evens), and suggest the UK will have a new election next year (odds of 2/1), despite the fact that Parliament has nearly 5 years to run. “My local MP, Jeremy Corbyn, won the UK Labour Party leadership election on Saturday with a 60% majority. An anti-NATO socialist, he has represented the constituency for 32 years, and has never held even a junior ministerial post. Now, he could possibly become the UK’s next Prime Minister. Unfortunately, Corbyn would be unlikely to resolve the mess over Brexit. In the past, before becoming leader, he took the Trotskyist view that the EU is a capitalist club, set up to defraud the workers. He has since refused to confirm or deny his views on the subject, but he did take very little part in the Referendum campaign last year. Had he been more active in arguing the official Labour Party position of Remain, it is unlikely that Leave would have won. Today, he is far more concerned over the likely result of a Labour Party win on financial markets, with his shadow Finance Minister admitting recently they were “war-gaming” in advance of an expected currency crisis. UK interest rates are already rising, as foreign buyers wonder whether they should continue to hold their current 28% share of the UK government bond market. Clearly, it is highly likely that a Labour government would need to return to capital controls after a 40-year break, to protect their finances. President Trump has also undermined the Brexit position. He initially promised a “very big and exciting” US-UK trade deal post Brexit. But since then the US has supported a protectionist move by Boeing to effectively shut-down the vital Bombardier aircraft factory in Belfast, N Ireland, despite May’s personal appeals to him. And last week, it joined Australia, New Zealand, Argentina and Brazil in objecting to the EU-UK agreement on agricultural quotas post-Brexit. I have taken part in trade talks and have also negotiated major contracts around the world. So I know from experience the UK could never have achieved new deals within the 2 years promised by leading Brexiteers. UK, European and global companies are already drawing up their budgets for 2018 – 2020. They cannot wait until Brexit day on 29 March 2019 before making their plans. 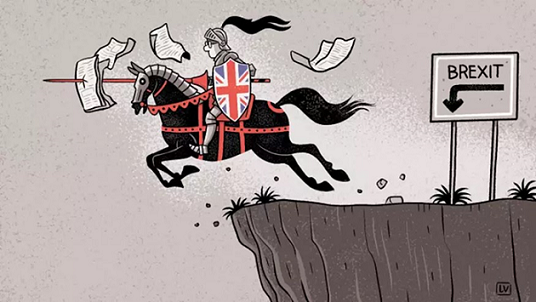 And so, as it becomes increasingly obvious that the UK-EU talks are headed for stalemate, and that ideas of a lengthy transition period are simply a dream, they will make their own plans on the assumption that the UK will head over the Brexit cliff in 18 months time. Nobody knows what will happen next. But prudent companies, investors and individuals have to face the fact that Brexit, as I warned after the vote, is likely to be “a disaster for the UK, Europe and the world“.